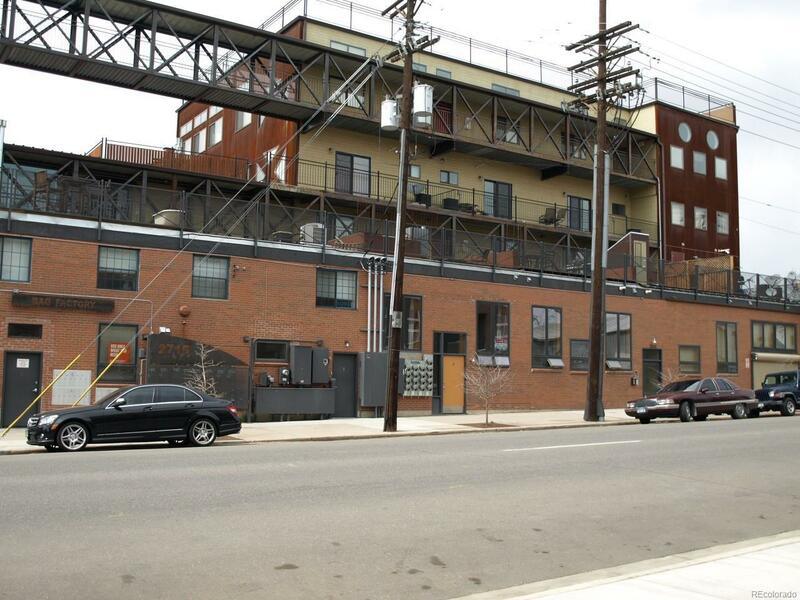 Authentic Industrial Appeal at the Bag Factory Lofts at an Affordable Price. Located near Coors Field, Curtis Park, and Light Rail, this 1302 Square Foot, 1 Bedroom, 2 Bathroom unit is on the 3rd/Top Floor (with elevator) and has 2 Secured Parking Spaces, a 15 Foot Balcony with Natural Gas for Bar-B-Que and a Brand New Private Roof Top Maintenance Free 23x18 Deck. Newly Refinished Hardwood Floors with Stained Concrete Floor at Entry and Tiled Floors in Bathrooms. Nearly 14 Foot Ceilings throughout with plenty of west facing windows that have motorized blinds with views of the Mountains, Downtown and Coors Field. The Kitchen has Granite Counters, Upgraded Stainless Steel Appliances including a Wolf Gas Range and Sub-Zero Refrigerator and a Large Island with seating space. Master Bedroom has Huge Walk-In Closet, Extra Loft Storage Areas, and a Private Bathroom with a Jetted Tub and separate Shower. Convenient walk to Coors Field, Breweries, Restaurants and Light Rail. New Interior Paint.